UniBrain: connecting business, education and research to drive innovation – One Billion Hungry: Can We Feed the World? 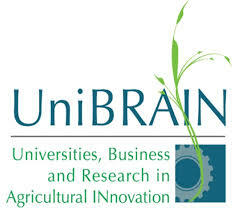 UniBRAIN aims to address the lack of human and institutional capacity for agricultural innovation across Africa. On the one hand businesses may lack people who can drive innovation while on the other university courses are failing to provide education relevant to industry needs. The UniBRAIN Incubators will contribute to improving tertiary education, making it relevant to the agribusiness sector and demand driven. The most recent of these, WAARI, was established in January 2014. One of the main activities of UniBRAIN is to establish an African Agribusiness Incubator Network (AAIN), which will help foster linkages between incubators and help share experiences. As this network expands and grows in strength, the hope is that it will be able to engage in policymaking across the continent and with other centres of innovation across the world.